Happy Sunday everyone! I have been so busy with home life, work, and school that I barely have time to do anything else. I feel like I have been in the bed trying to recoup all weekend. Hopefully I can get into my craft room either today or tomorrow because I am going through some serious withdraws. Here is a card that completed a couple of days ago but forgot to post. This is a cricutless card. 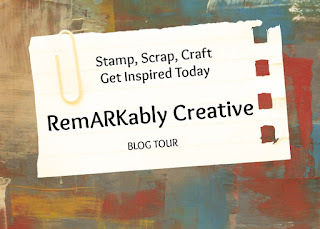 I used cardstock from Recollections and Stampin' Up! The stamp is Stampin' Up ! from the Watercolor Trio set. The scalloped edge from my new Tim Holtz die cut. I hope you enjoy.